CBR & the full wraparound cover! Robot 6 @ Comic Book Resources is definitely excited about Once Upon a Time Machine! 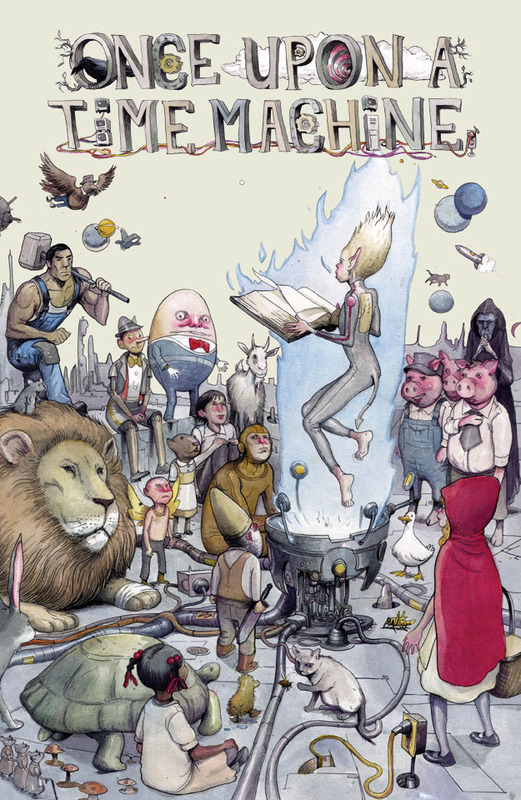 Once Upon a Time Machine by Various (Dark Horse) – I love twisted takes on classic stories, and this looks to be just that – fairy tales refashioned for different times. Plus, the creator list seems inspired, with the likes of Ryan Ottley, Brandon Graham, and even mainstream artists like Khoi Pham. We hope — and think — the book will live up to those expectations! 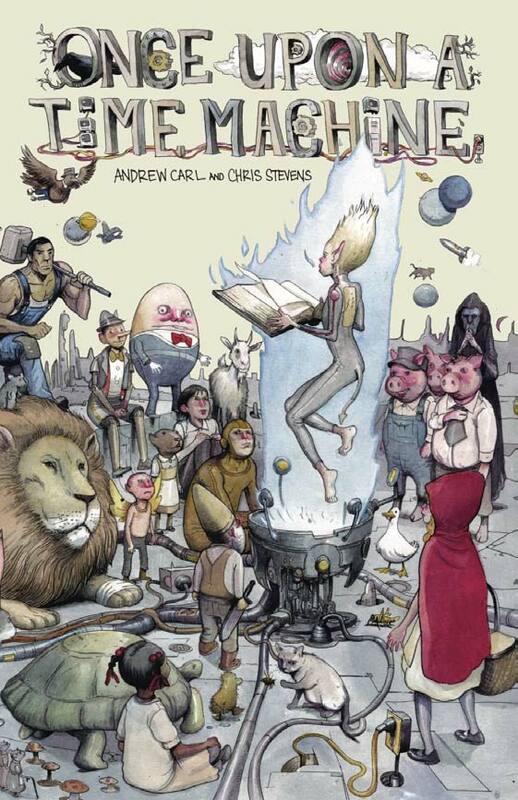 And now this week, Michael May picked up on a great blog post by Brandon Graham, in order to share with all the CBR readers Farel Dalrymple‘s full wraparound cover for the book and Brandon & Marian Churchland‘s beautiful Little Mermaid collaboration! 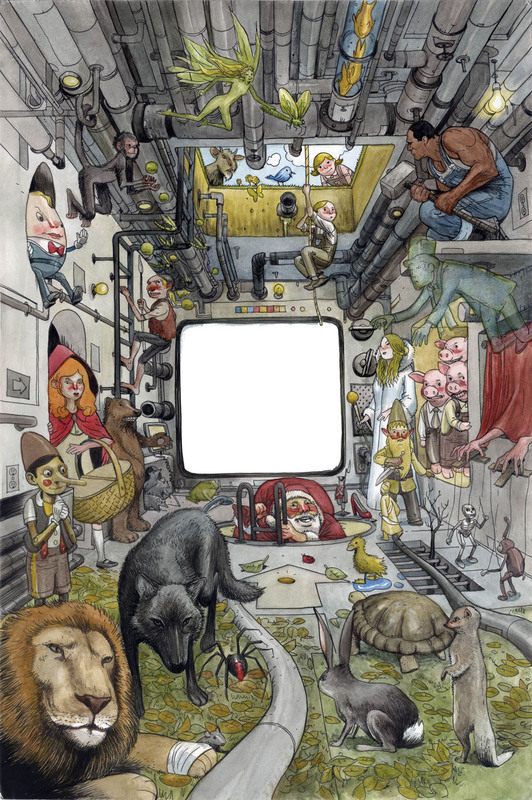 Enjoy that astounding cover here — and head on over to the CBR post or Brandon’s site to find the pinup! 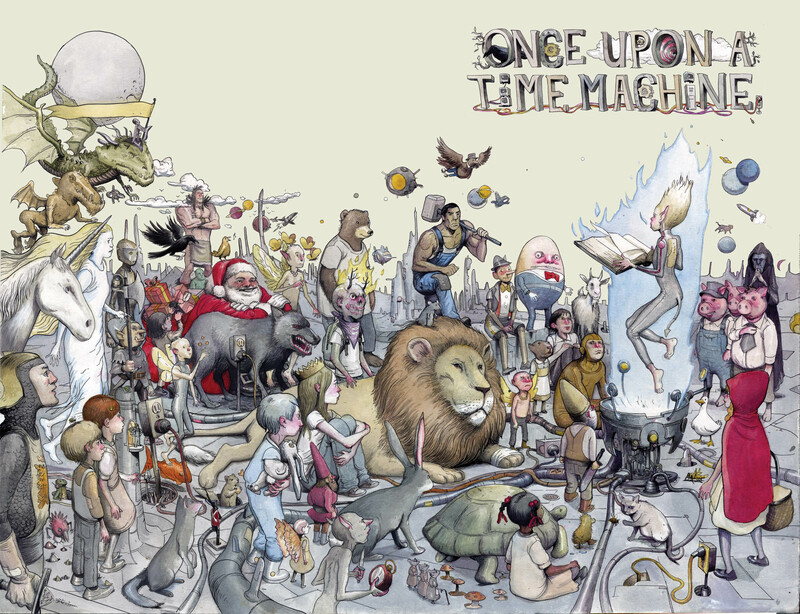 Dark Horse Comics will publish Once Upon a Time Machine on October 10, 2012. This is the new, official landing spot for Once Upon a Time Machine. Check back in regularly for updates in preview art, creator interviews, reviews, news about the book’s impending release, and heads-up for any creator appearances.